The Rolling Stones — On Air was released last week. It features 32 songs that originally aired between 1963 and 1965 on BBC shows like Saturday Club, Top Gear and The Joe Loss Pop Show. “It was weird time to record in London in 1963, ’64. Both the Beatles and us used to look at each other and say, ‘What are you doing tomorrow? Well, we’re doing the Joss Loss show on BBC Radio’ and we all shivered because no one knew how to record these things,” Richards said. On Air features well-known Stones songs such as ‘(I Can’t Get No) Satisfaction‘ as well as Chuck Berry covers, including ‘Roll Over Beethoven’, ‘Memphis, Tennessee’, ‘Beautiful Delilah’ and ‘Come On”, the Stones’ debut single. 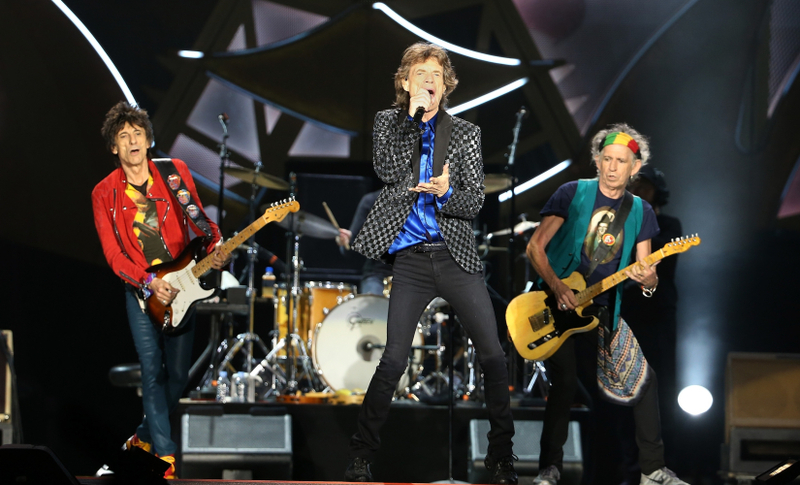 The band returned to its blues roots last year with the release of “Blue & Lonesome,” which earned the Stones a Grammy nomination for best traditional blues album. They are currently working on an album of originals. “We’re picking up the threads on a new album as we speak. I’m in touch with Don Was,” Richards said.